We use Angie’s List to assess whether we’re doing a good job at providing 100% Customer Satisfaction for exterior remodeling in Franklin, MA and the surrounding areas! 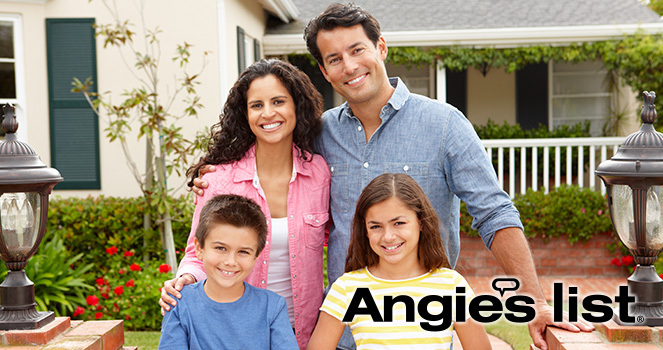 Please visit Angie’s List in order to grade our quality of work and customer service. 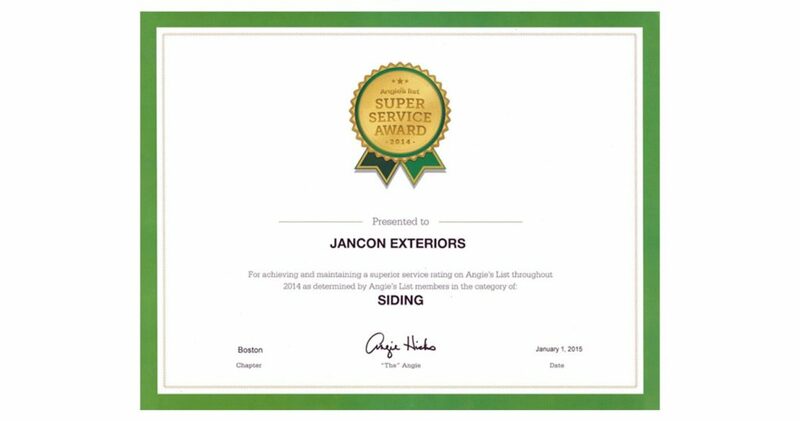 Jancon Exteriors has earned the service industry’s coveted Angie’s List Super Service Award, reflecting an exemplary year of service provided to members of the local services marketplace and consumer review site in 2014. Click here to see more of our awards, or click here to read the full Angie’s List press release.